Nickel (Ni) is a ubiquitous and highly important heavy metal. At low levels, Ni plays an essential role in plants such as its role in urease, superoxide dismutase, methyl-coenzyme M reductase, hydrogenase, acetyl-coenzyme A synthase, and carbon monoxide dehydrogenase enzyme. Although its deficiency in crops is very uncommon, but in the past few years, many studies have demonstrated Ni deficiency symptoms in plants. On the other hand, high levels of applied Ni can provoke numerous toxic effects (such as biochemical, physiological, and morphological) in plant tissues. Most importantly, from an ecological and risk assessment point of view, this metal has narrow ranges of its essential, beneficial, and toxic concentrations to plants, which significantly vary with plant species. This implies that it is of great importance to monitor the levels of Ni in different environmental compartments from which it can enter plants. Additionally, several abiotic stresses (such as salinity and drought) have been reported to affect the biogeochemical behavior of Ni in the soil–plant system. Thus, it is also important to assess Ni behavior critically under different abiotic stresses, which can greatly affect its role being an essential or toxic element. This review summarizes and critically discusses data about sources, bioavailability, and adsorption/desorption of Ni in soil; its soil–plant transfer and effect on other competing ions; accumulation in different plant tissues; essential and toxic effects inside plants; and tolerance mechanisms adopted by plants under Ni stress. 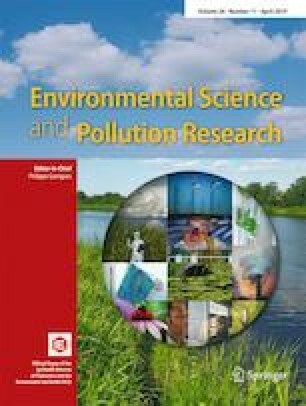 The authors gratefully acknowledge Ms. Natasha, Department of Environmental Sciences, COMSATS University Islamabad, Pakistan, for her valuable feedback on the manuscript.